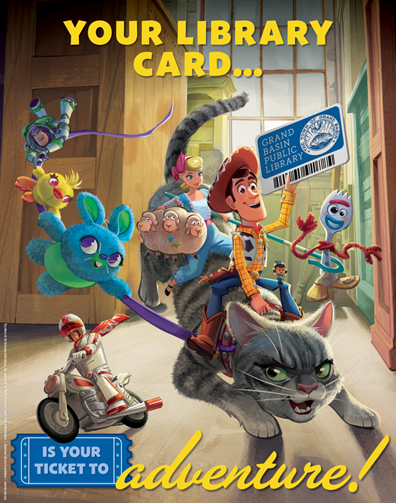 Celebrate Library Card Sign-up Month 2019 with Special Toy Story 4 Tie-in! CHICAGO – This September Disney and Pixar’s “Toy Story 4” characters Woody, Buzz Lightyear, Bo Peep and friends are joining the American Library Association on an adventure to promote the value of a library card as Library Card Sign-up Month Honorary Chairs. Read more about Celebrate Library Card Sign-up Month 2019 with Special Toy Story 4 Tie-in! 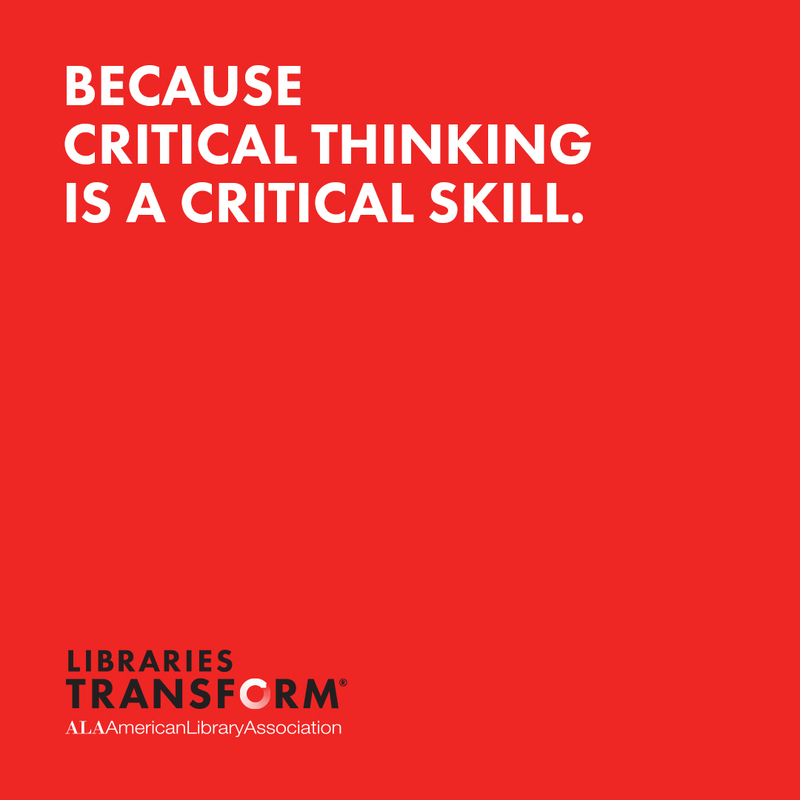 CHICAGO – The American Library Association (ALA) has released a new Libraries Transform toolkit with free public awareness resources relating to critical thinking. 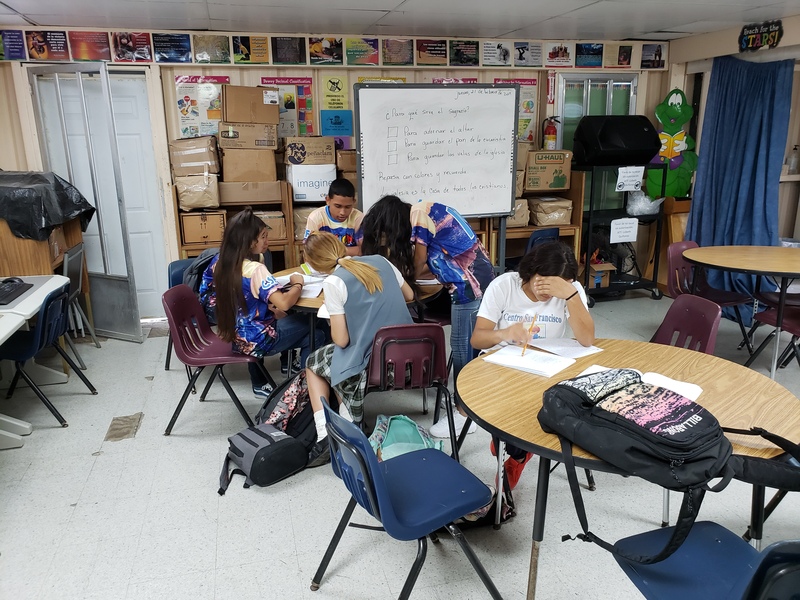 The toolkit was created through a collaboration with SAGE Publishing, a Library Champion whose generous financial support helps fund Libraries Transform. 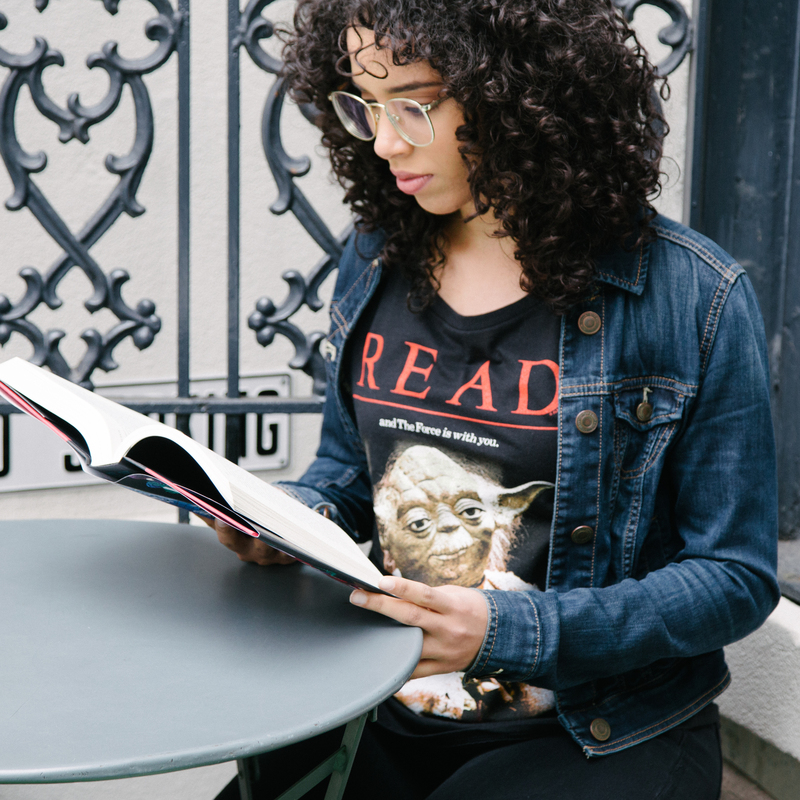 CHICAGO – Apparel and accessories company Out of Print is collaborating with the American Library Association (ALA) for a National Library Week fundraiser and officially debuting its new Star Wars™ READ® collection. SEATTLE – Yuyi Morales, illustrator of “Dreamers,” and Elizabeth Acevedo, author of “The Poet X,” are the 2019 winners of the Pura Belpré Illustrator Award and Author Award, honoring Latinx authors and illustrators whose work best portrays, affirms and celebrates the Latino cultural experience in children’s books. seattle – Joyce Sidman, author of “The Girl Who Drew Butterflies: How Maria Merian’s Art Changed Science,” was named the winner of the 2019 Robert F. Sibert Medal for the most distinguished informational book for children published in 2018. The award was announced today by the Association for Library Service to Children (ALSC), a division of the American Library Association (ALA), during the ALA Midwinter Meeting & Exhibits held January 25 - 29, in Seattle, Washington. 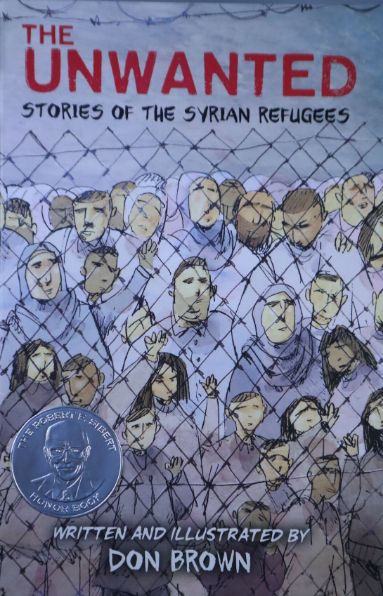 SEATTLE– The Unwanted: Stories of the Syrian Refugees, by Don Brown and published by Houghton Mifflin Harcourt has been named the 2019 winner of the YALSA Excellence in Nonfiction for Young Adults Award, the first national award that honors the best nonfiction books for teens. The award was presented today by the Young Adult Library Services Association (YALSA) at the American Library Association’s Midwinter Meeting & Exhibits held Jan. 25 – 29, in Seattle, Washington. SEATTLE – The American Library Association (ALA) is pleased to announce the winners of the 2019 Schneider Family Book Awards, which honor an author or illustrator for the artistic expression of the disability experience for child and adolescent audiences. The award was announced today during the American Library Association (ALA) Midwinter Meeting & Exhibits from January 25 – 29, in Seattle, Washington. 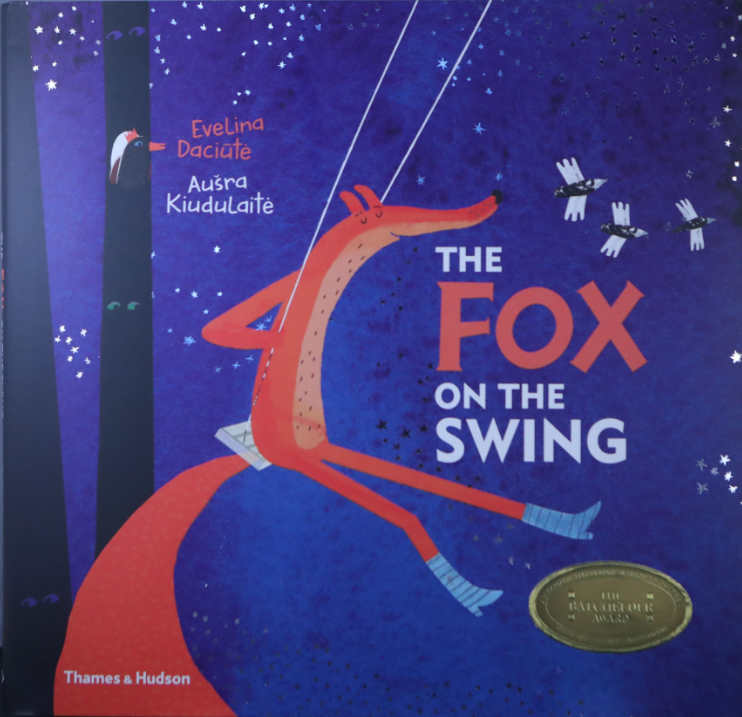 Seattle– Thames & Hudson, Inc. is the winner of the 2019 Mildred L. Batchelder Award for “The Fox on the Swing.” The award was announced today by the Association for Library Service to Children (ALSC), a division of the American Library Association (ALA), during the ALA Midwinter Meeting & Exhibits held January 25 - 29, in Seattle, Washington. 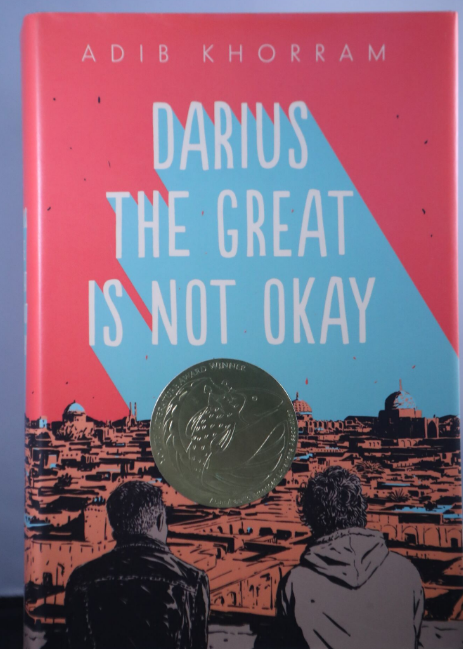 SEATTLE – “Darius the Great Is Not Okay,” written by Adib Khorram and published by Dial Books, an imprint of Penguin Young Readers, a division of Penguin Random House, has been named the 2019 winner of the William C. Morris Award, which honors a book written for young adults by a previously unpublished author. The award was presented by the Young Adult Library Services Association (YALSA) at the American Library Association’s Midwinter Meeting & Exhibits held Jan. 25 – 29, in Seattle, Washington. SEATTLE– Macmillan Audio, producer of the audiobook, “Sadie,” has won the 2019 Odyssey Award for Excellence in Audiobook Production. The award announcement was made today during the American Library Association (ALA) Midwinter Meeting & Exhibits held January 25 - 29, in Seattle, Washington.